To find our deepest connection to Nature, we need to look no further than the geometry of the human body. It is at the apex of Creation, reflecting the beauty of the cosmos and embodying the order of its physics. Yet in spite of this self-evident truth, we still have very little understanding about why our bodies are shaped the way they are and how that might be connected with the evolution of human consciousness and society. 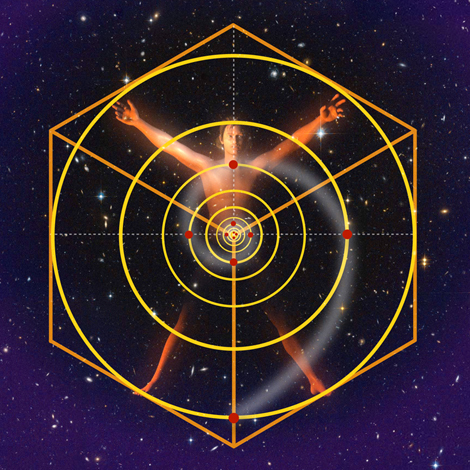 Life can be described as a harmony between the outward resonance of energy and the inward gravitational pressure of space, twisting as a Golden Spiral to produce the key plexus and flex points of the body.